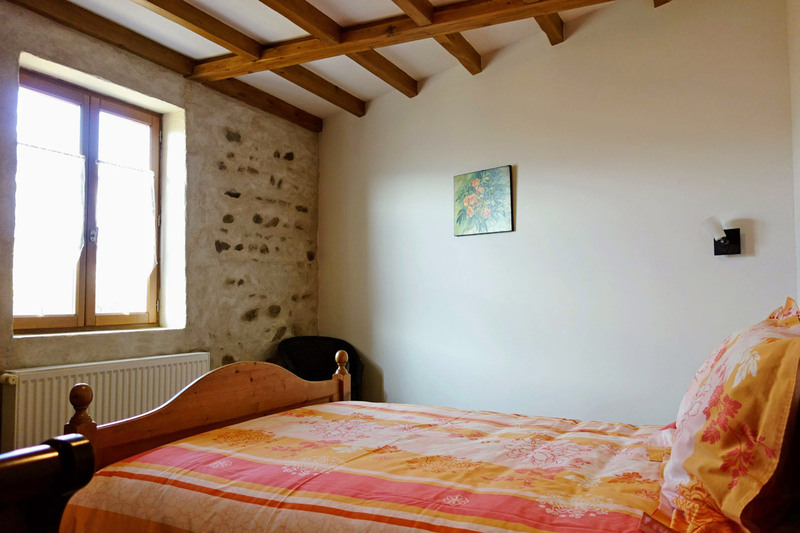 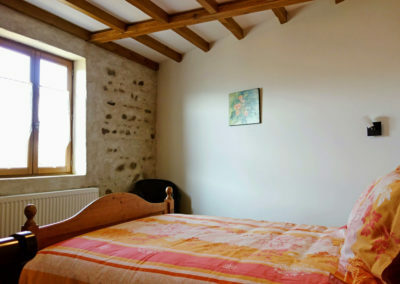 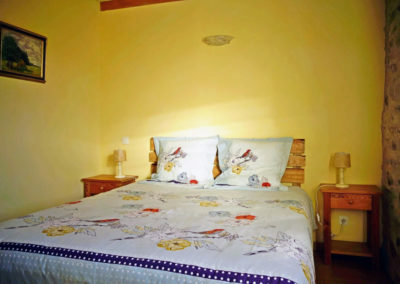 Double en-suite bedroom furnished with a comfortable king size bed, a desk corner and a bathroom with shower and toilet. 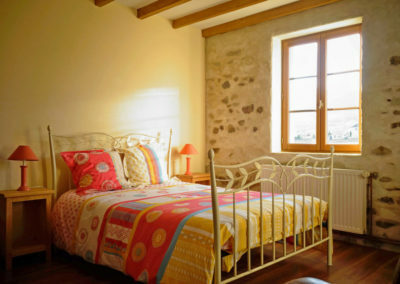 Amazing view over the vineyards. 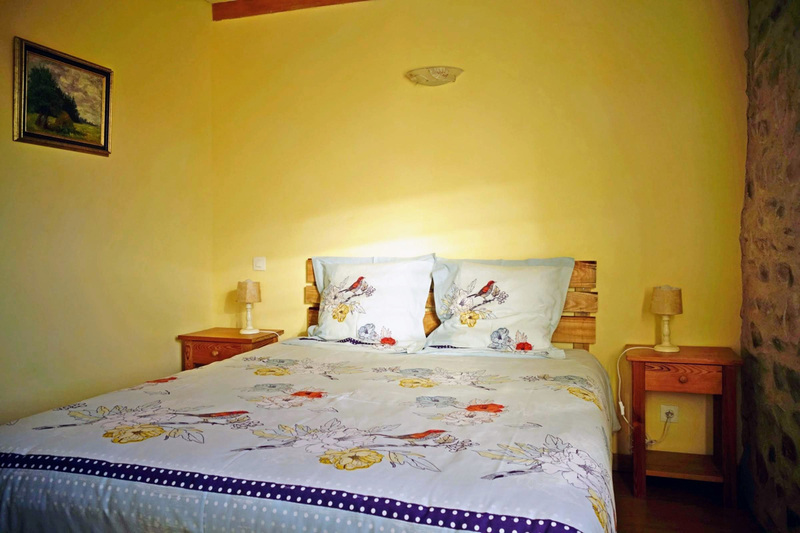 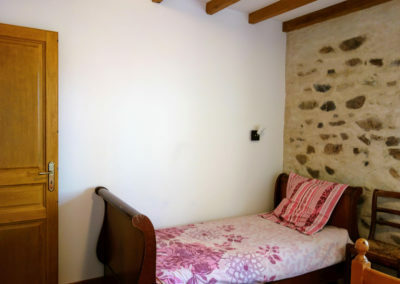 Double or Triple en-suite room made up with comfortable single beds. 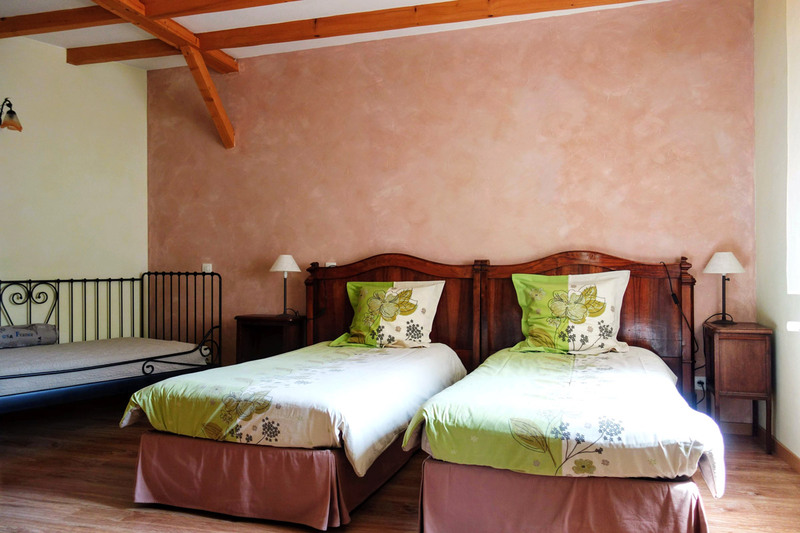 The beds are modular : king-size bed + 1 single bed or only singles (please precise us at the reservation). 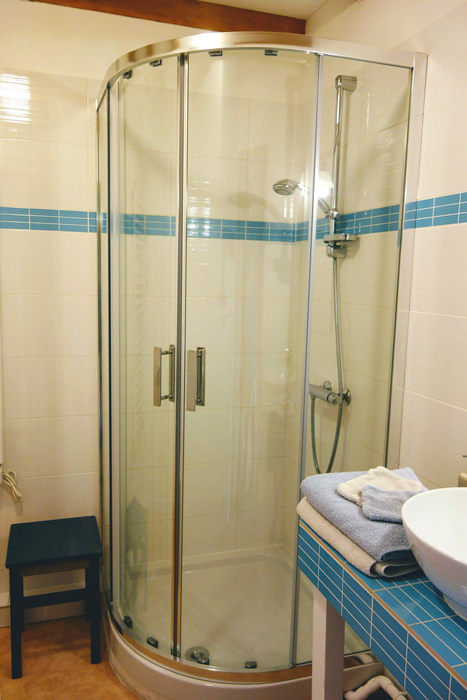 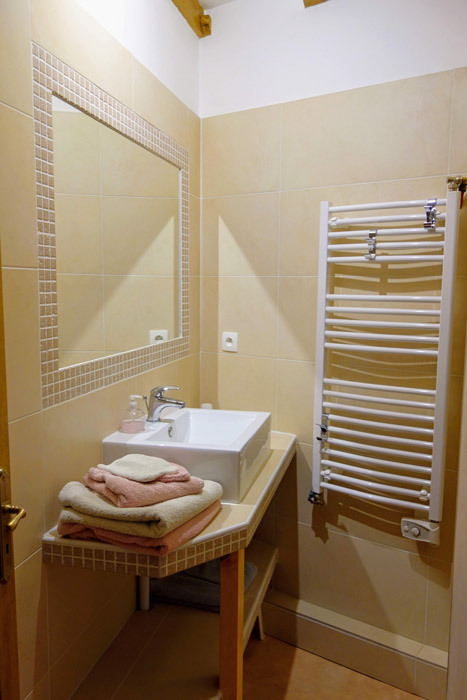 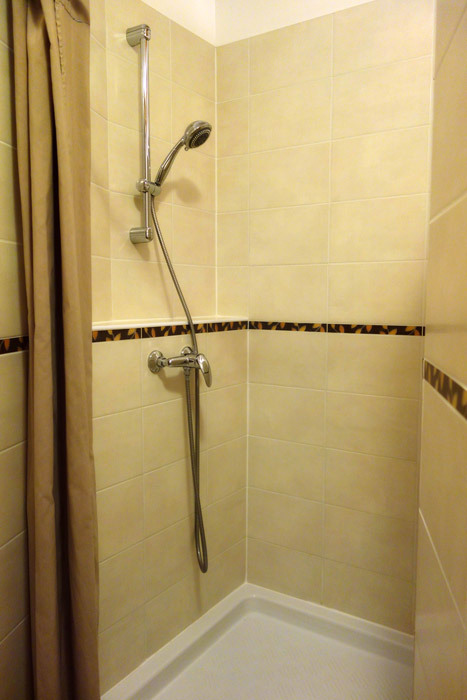 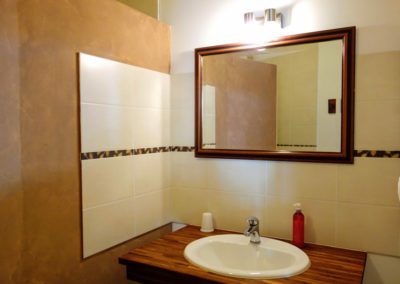 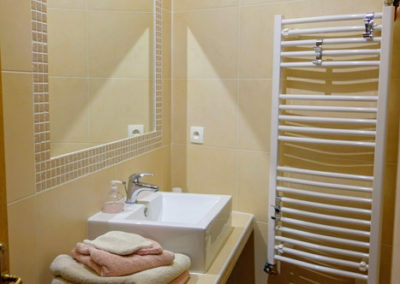 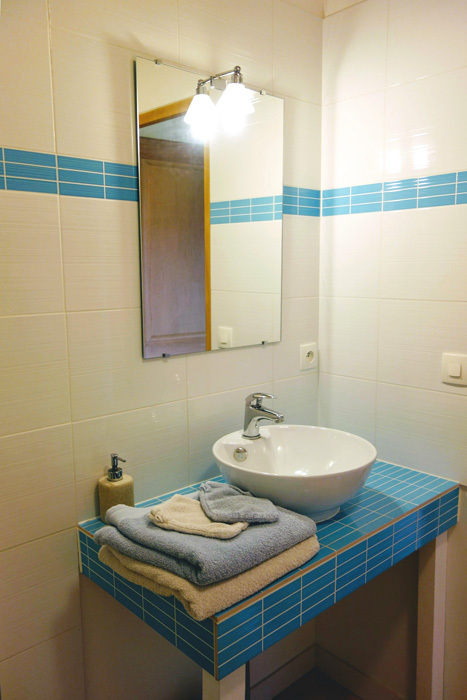 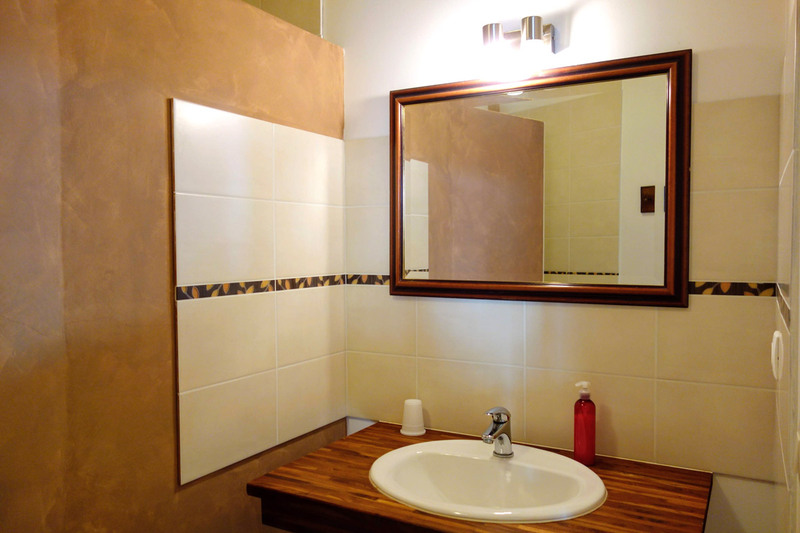 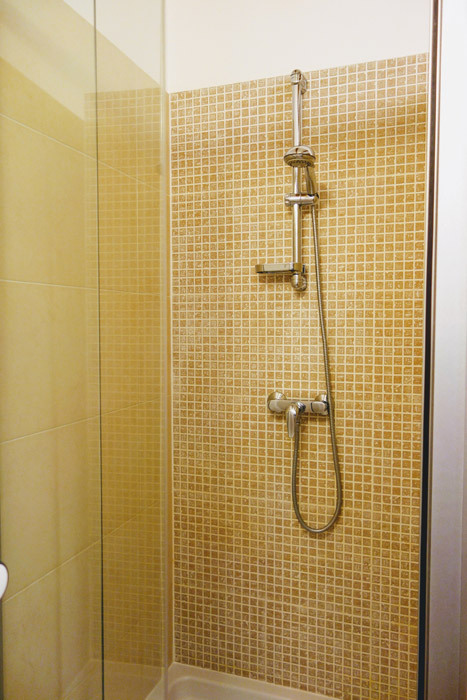 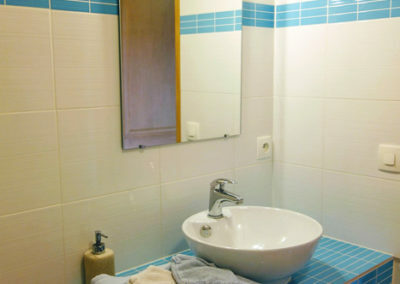 Lovely bathroom with large shower, separate toilet room. 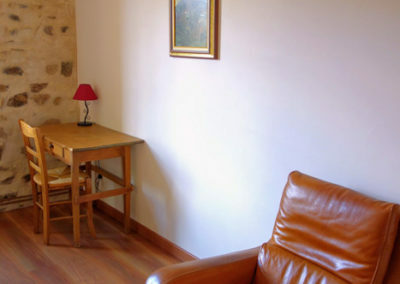 club chair and small desk. 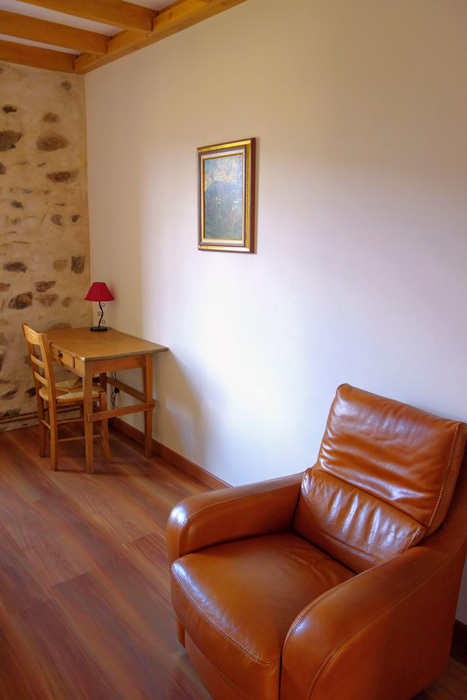 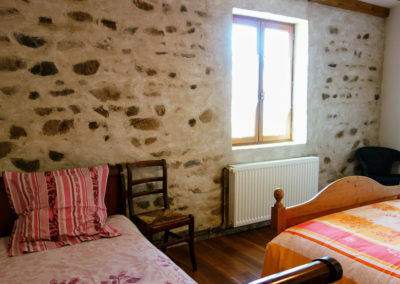 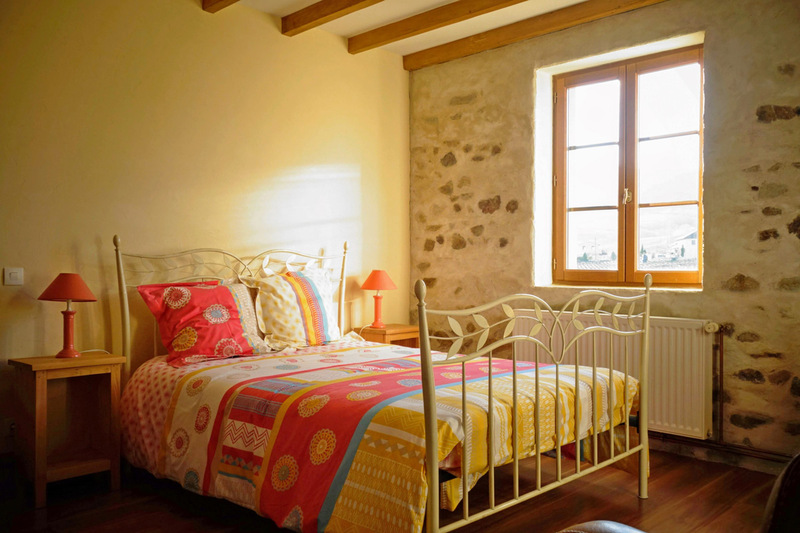 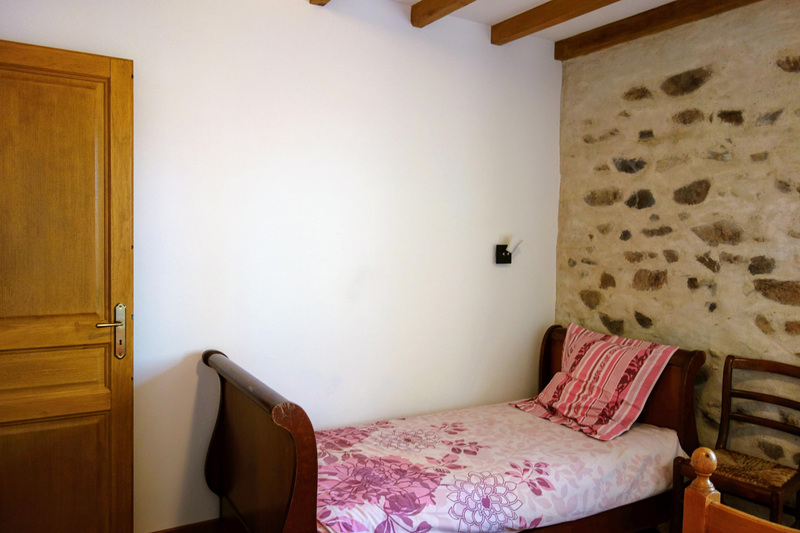 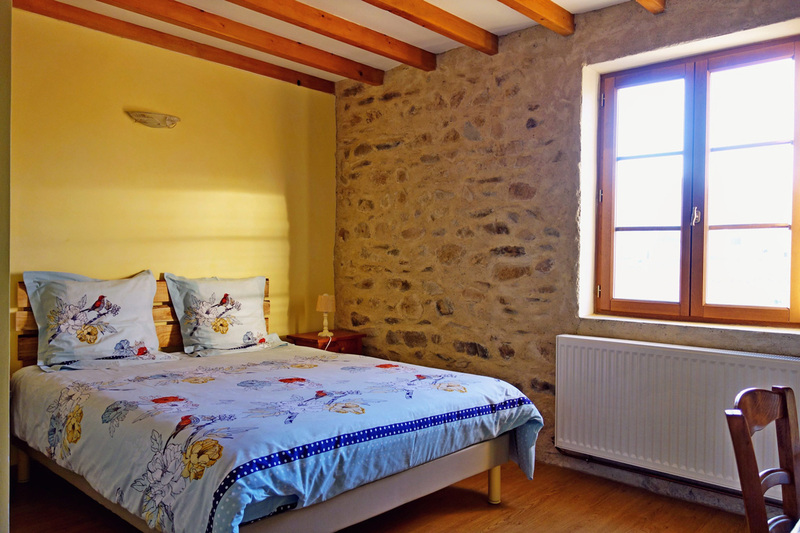 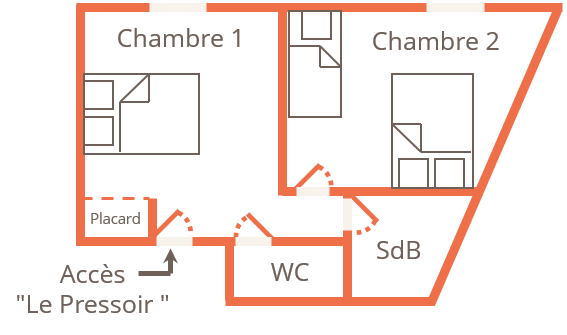 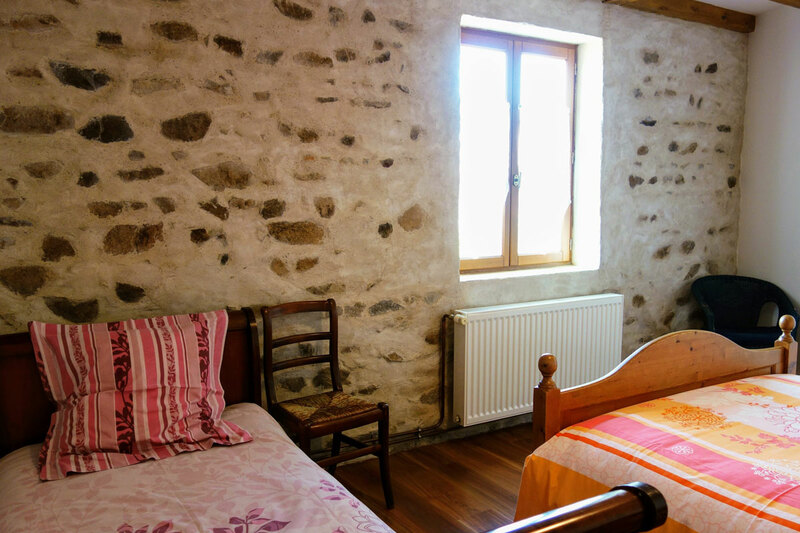 Family room (35 m²), made of two separate bedrooms for up to 5 persons. 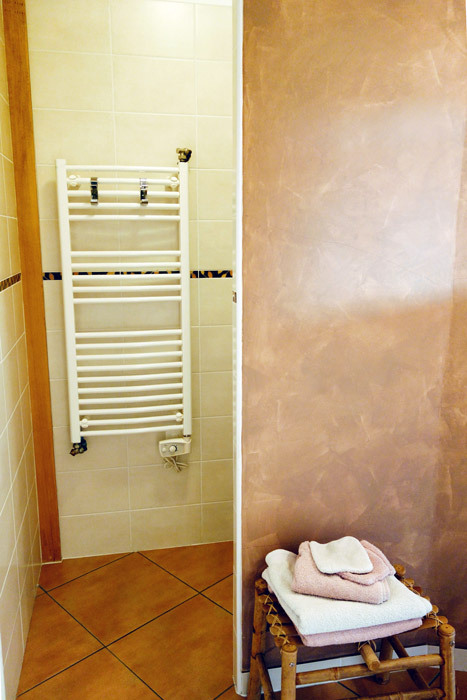 Nice en-suite bathroom with shower and separate toilet room.